And just who is behind revcom.us? Yes, that would be the “Revolutionary Communist Party, USA” as seen on their website header below. Now here are the perps caught in the act below … and RED-handed with the evidence. 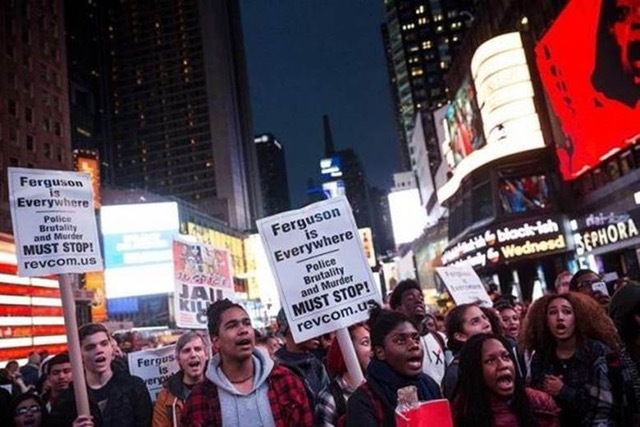 See the website url — revcom.us — written on the two placards photo-captured below.